CIS-A2K has adopted an integrated approach towards knowledge generation in Marathi language. With the involvement of various stakeholders in different programmes, CIS-A2K facilitated a comprehensive workshop for publishers, printers, designers and writers on 7 September 2018. The State Govt. Language department, All India Marathi Literary Body & All India Marathi Publishers Consortium took the lead to organize this workshop. In this workshop, noted authors Sunilkumar Lawate and Laxmikant Deshmukh expressed their willingness to donate their books to Wikimedia projects. The awareness about content donation was spread among the writers' community through this workshop. To promote Marathi language, Marathi language fortnight (1-15 January) and Marathi Day (27 February) was celebrated in Maharashtra. CIS-A2K organized various events on this occasion with state government, publishers, writers and other stakeholders in knowledge business. Some of the authors responded to the appeal to donate their literature in public domain. The following content donations were received in February and March 2019. Kaustubh Tamhankar, an active citizen from Thane is promoting innovative home composting methods for zero garbage. He has produced some manuals and videos on the process. As the awareness about environment friendly lifestyle is increasing, the author thought of releasing the first manual on Commons. CIS-A2K community advocate (CA) trained him in basics of Wikipedia and Commons. He completed the OTRS process and uploaded the book on zero garbage. He has planned to upload some more manuals and videos in future. Prof. Sunilkumar Lawate is an educationist, social activist and writer in Maharashtra. He participated in the FOSS & Wikimedia workshop conducted in September 2018. 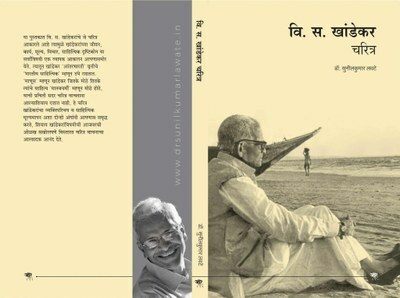 He approached CIS-A2K for release of his books in CC-BY-SA on the occasion of Marathi Day on 27 February. CA trained the author in copyrights, Commons upload process and OTRS process in the session held at Kolhapur on 27 February. Prof. Lawate uploaded his 21 books on Commons. These are reference value books on education, child rights, literature, autobiographies, social issues and classic literature. The newspapers covered this event as feature of Marathi day. Because of good media coverage, many responses from other authors in Maharashtra have been received for content donation. We all know that vast amount of training materials and case studies are produced in development sector. But it is not available to society at large. It is restricted to NGOs, funding agencies, etc. for project period. If it is brought in Wikimedia, it will be searchable for all and will be linked to various articles also as reference resource. CIS-A2K is approaching several such organizations for content donations. CIS-A2K received positive response from Adv. Varsha Deshpande, President of Lek Ladaki Abhiyan, Satara about bridging gender gap activities on Wikimedia projects. Lek Ladaki Abhiyan (LLA) is one of the most active organizations working on Women's issues in Maharashtra. The activities cover wide range of issues viz. stopping child marriages, counselling workshops for adolescents, pre-marriage counselling, child labour issues, legal aid to women facing violence, sting operations for exposing cases of female foeticide, hostel for girls etc. LLA organization is involved in content generation on women's issues for the last two years with the support of CIS-A2K. The process proved useful for the members and other participants. On the occasion of Women's day on 9th March, LLA re-licensed 8 books and uploaded on Commons. The convener Adv. Varsha Deshpande has authored 6 books. She has taken this noble initiative. The content is spreading across beneficiaries and getting good feedback also. The books cover all the issues mentioned above. The articles created in women's day workshop and books donated by this organization have contributed to reduction in gender gap. LLA would like to lead the movement with other like-minded organizations in urban, rural, tribal areas to facilitate the open knowledge generation on women's issues. Laxmikant Deshmukh is former IAS and writer in Maharashtra. He was president of All India Marathi Literary Festival in 2017 at Badoda. He was co-organizer for the FOSS & Wikimedia workshop conducted in September 2018. From that event, he has been promoting open knowledge concept and Wikimedia projects. The training session at Pune was held on 16 March for re-licensing his 4 works. The books are on socio-economic issues of Maharashtra.